Winning White Label Partner of the Year at EGR B2B Awards for the 3rd time, launching 25 new operators across Europe and Asia, and opening of a new office for the team in Vietnam are just some of our company’s highlights for the first half of 2016. Our highlights occurred as a natural consequence of the new partnerships and increasing number of clients our company signed in the first two quarters of the year. From a technological point of view, we continued to place a high emphasis on product development, increasing the monthly live events in OddsMatrix to 23,000 and the monthly bet types options to over 300. At the same time, our CasinoEngine solution maintained its position as the largest casino games aggregator in the industry, with more than 3,000 games from more than 40 top providers. The first 6 months of 2016 added to our portfolio more than 25 new clients across the European and Asian regions, including Ekstra Bladet, Denmark’s largest media company and other important names, such as Sporting Index, Codeta, the Danish version of Anna Casino and BetOnFinance, to name just a few. We kept on signing more business partnerships and new commercial agreements with other important players in the market, like Kiron, Pariplay, Wikibetting and Global Bet. Additionally, we have improved PartnerMatrix to deliver new functionalities and better management options to suppliers and operators throughout the world in an effort to assist them with a unique stand-alone solution that provides a complete affiliate and agent system. 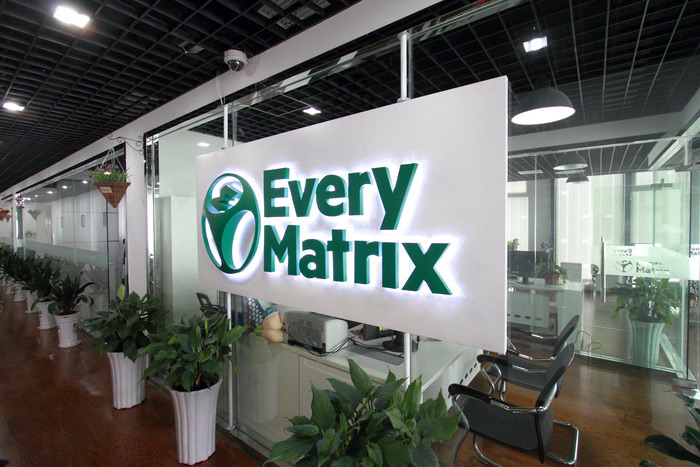 As for our future evolution, EveryMatrix platform is under continuous improvement and our teams continue to supply better components and reliable integration systems for our clients. Among the highlights, we can include the Unified Back Office, which is a single point of contact for operators that want to manage all the gaming products from a single log on, and the Unified Front End components, that allow faster creation of gaming websites and serve customized gaming content. Furthermore, to stay connected with the latest evolutions in the industry, EveryMatrix strengthened its delivery, management and infrastructure capabilities by introducing local account managers in offices from Denmark, Malta and Philippines. EveryMatrix continues its pursuit to offer the best services and our technology developers and engineers work every day to better serve our clients, improve our products and keep our top position in the market.